Firstly, this game breaks new ground in terms of how it handles its theme, and I think a large part of the hype around the game stemmed from that. 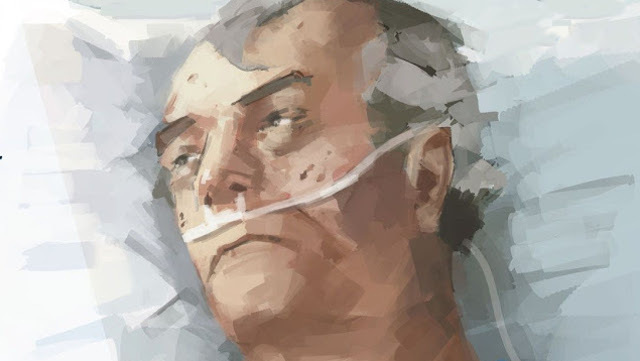 In this game, player’s take on the roles of the primary carers attending to Billy in a hospital shortly after he has suffered a massive heart attack. All you know about him at the beginning of the game is that his name is Billy Kerr, he is dying, and you will be the last people to learn the story of his troubled life. 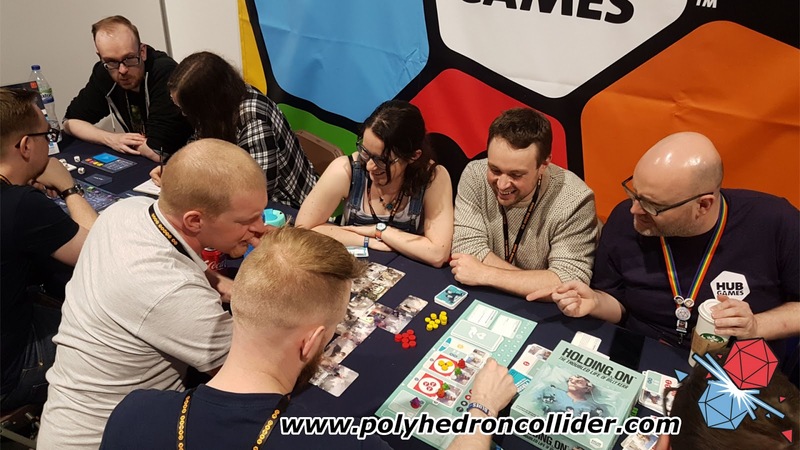 Throughout this co-op, worker placement game, players will have their nurse meeple assigned to one of the three shifts that make up each of Billy’s day; morning, afternoon and night. Once allocated the player has to decide how to treat Billy that day, some shifts will allow more choice than others, but it boils down to treat him physically, keeping him alive, or offering palliative care. 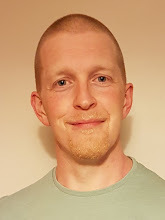 This second option is again often split between talking to Billy and learning more about him or simply plumping his pillow so that you can gather your strength for the next crisis. As you talk to Billy you’ll draw Fragmented Memories, these will have a quote on one side, and come the end of the day, all players with them get to flip these cards to reveal black and white blurry snapshots of Billy’s life. These will form a jigsaw, a mosaic-like image that tells part of his story. Throughout the game you’ll have opportunities to access Vivid Memories, these form a sort of mini-game that is wonderfully thematic, where you’ll get a full colour, fully detailed version of one of your fragmented memories, which you’ll overlay in you patchwork story of Billy’s life to get a clearer idea of what happened to him. There are other mechanics, which, in a full review, one might cover, but the important thing about Holding On is that although the mechanics are the thing that makes this game run, they are especially unobtrusive, allowing players to become immersed in this story first and game second. 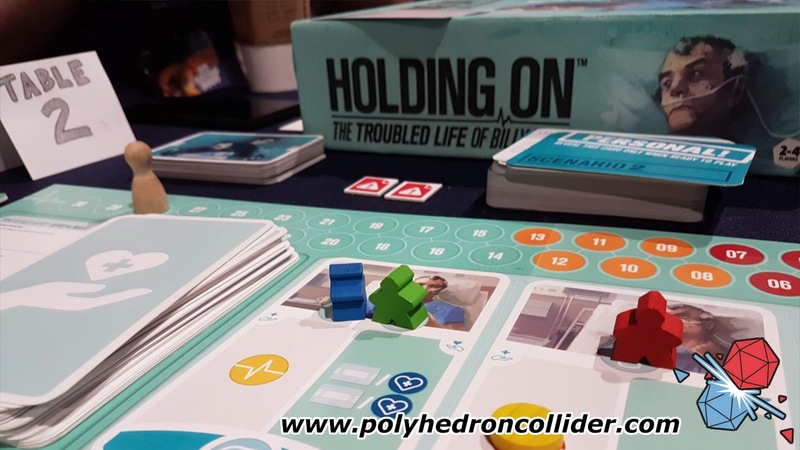 Holding On is a sombre game, and make no mistake, Billy is dying, but his full, flavoured and yes, troubled life will reveal a game that is sure to be equally full of wonder. 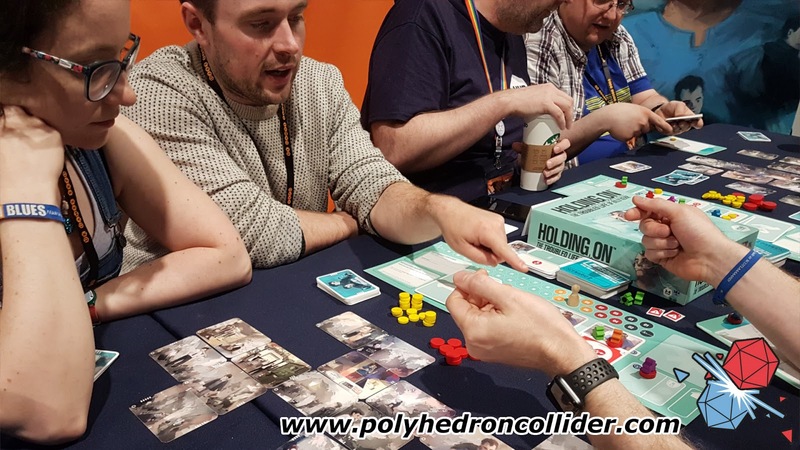 Speaking to Michael and Rory after my demo they told me that across all their playtests certain scenarios resonated with different people. Scenario eight has something interesting enough to stand out to many. Number ten is the end of what one can hope is an engaging and moving story, and I think it is here that this game really wins. The story, more so than the desire to win and beat the game, is what will drive and motivate people to play, and possibly replay; re-exploring Billy’s life, seeing it from new angles and with a new perspective. 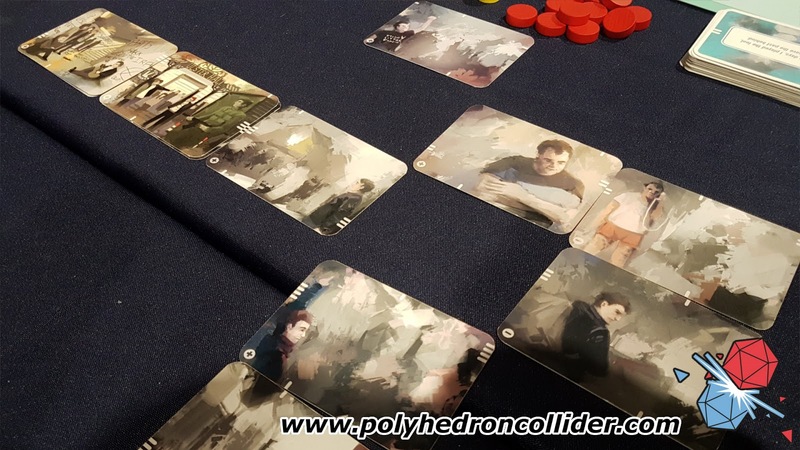 This is a game of worker placement, where players will mechanically flip cards, read them, manage their workers and resources but at each and every turn you are present in the story you are constructing, from the art that depicts Billy’s pain to the austere medical backdrop and the lovingly detailed memory cards. Choices are not only weighted by what they will do to your turn, the round or the game, but also to the life of a dying man. This wonderfully immersive, engaging game will be released worldwide for Essen. If this sounds like your cup of tea, I’d speak to the folks at you FLGS to reserve one and make sure you get a copy. Everything that happens in Billy’s life, everything is real. It’s all based on actual events from an array of people. The artwork featured on the cards, including things like graffiti, is all taken from real life locations and records. It is just a game, to you, but everything you see really happened to someone.